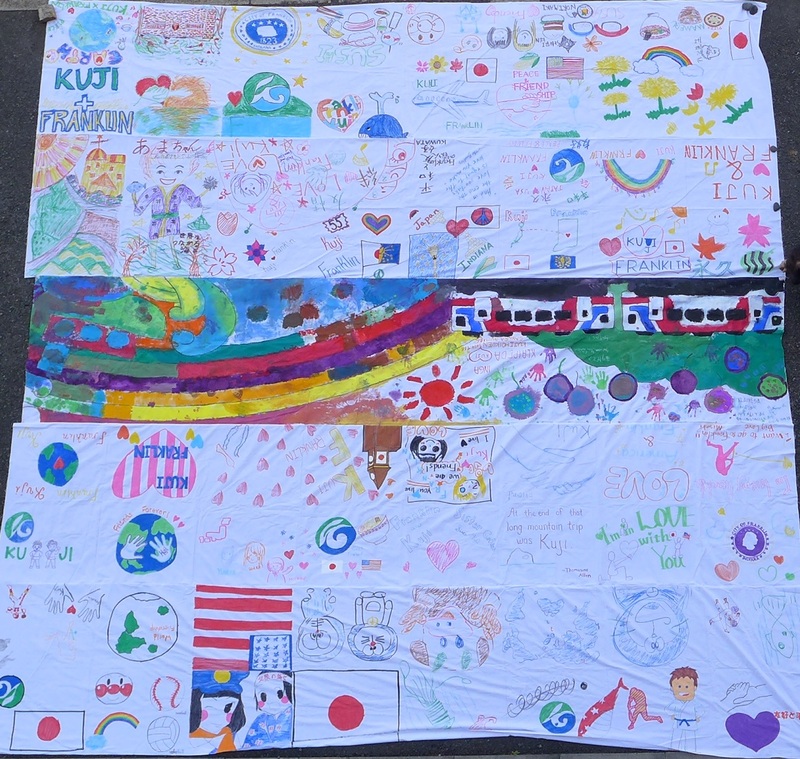 It was decided in Kuji City, Iwate Prefecture, to join the Biggest Painting in the World in Kuji City, and that in Lithuania. 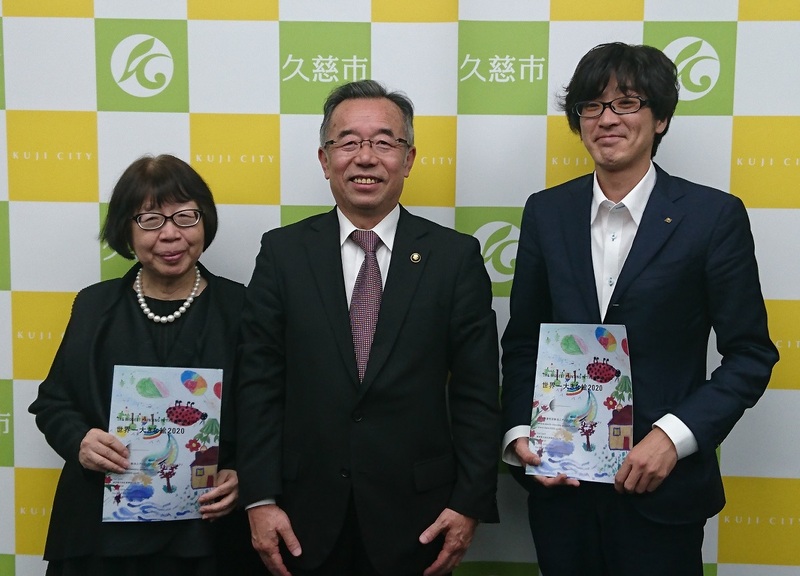 It was decided in Kuji City, Iwate Prefecture, to join the Biggest Painting in the World in Kuji City, and that in Lithuania as a part of the commemorative project of 25th Anniversary of Sister City Relationship between Kuji City and Klaipeda, Lithuania. 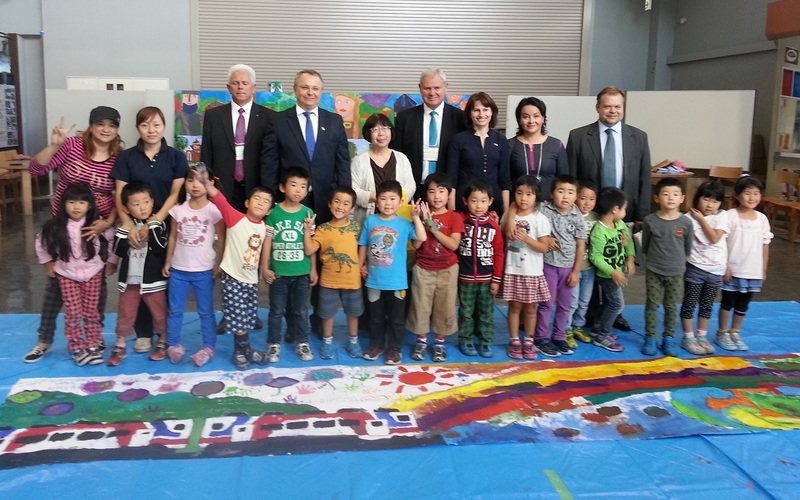 The tape was cut for the project and Lithuanian folk dances were performed at Yamase Dofu Hall. The photo below shows the mayor of Klaipeda and his wife handing me an anniversary gift.